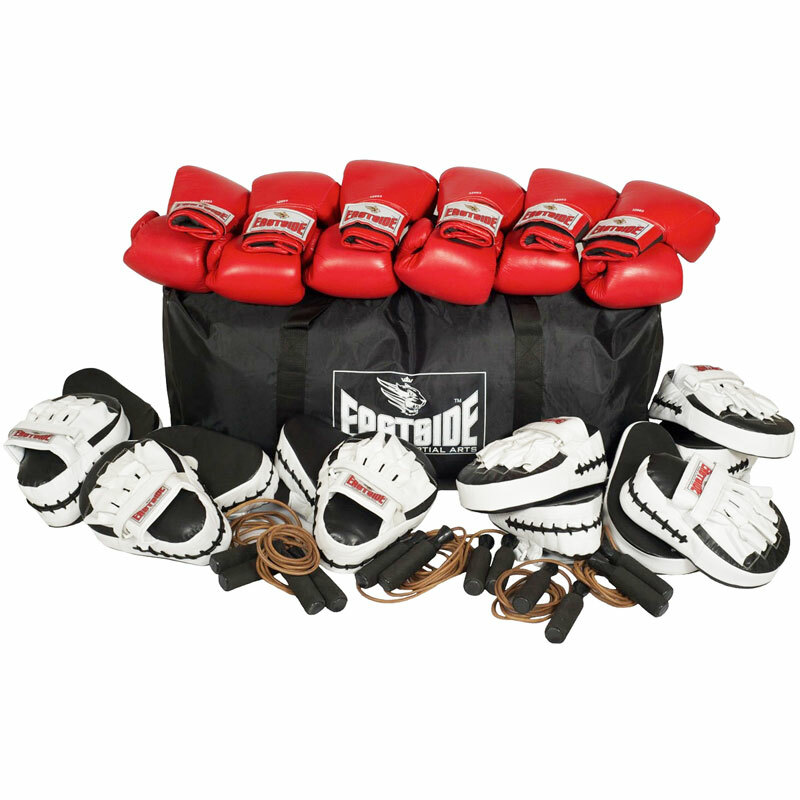 The Eastside Pro Plus Group Boxing Set is a tough, performance tested brand of boxing equipment that offers fantastic value for money. Ideal for adult group sparring sessions. 6 x Pro Curved Hook and Jab Pads. 6 X Pro Sparring Gloves (2 x 12oz, 2 x 14oz, 2 x 16oz). 6 x Weighted leather skipping ropes.